One Friday morning, the rabbi of the community was out for a stroll and crossed paths with the farmer just as he was reciting his daily prayer. The rabbi had never heard such a prayer out of the mouths of the other Jews in his community and became incensed at the ignorant farmer. “That’s not how we pray,” said the rabbi. It just so happened that the rabbi had brought along his travel-sized prayer book that morning, and he proceeded to teach the farmer the proper way to pray. The farmer, too intimidated to say otherwise, tried his best to keep up with the rabbi. Once the rabbi was convinced that the farmer had been well educated, he went on his way. Soon after the rabbi’s departure, the farmer had entirely forgotten what the rabbi had said. Too afraid to recite his own prayer, the farmer now said nothing each day. 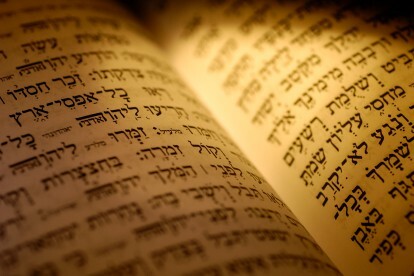 This midrash is a reflection of the many rich experiences and lessons I have learned as a Jewish Foundation Fellow at The Valley Temple under the advisement of Rabbi Sandford Kopnick. Among them is a more nuanced understanding of how a congregational rabbi should operate. The role of rabbi can take on many forms, but it seems to me that the most critical aspect of the occupation is that of facilitator. I came into this fellowship with many preconceived notions of how a rabbi should lead a congregation; I was convinced that the rabbi should be the conduit of change for the community and encourage experimentation. This idealist attitude makes sense in the context of my experiences at student pulpits. In smaller, student-led congregations, the rabbi is the instigator of change and progress. My experience at The Valley Temple has led me to a conclusion which is contrary to the one I derived as a result of my student pulpits. It is apparent to me that the relative stability of rabbinic leadership at The Valley Temple has allowed for a level of continuity. A steady community practice becomes fixed over time and soon, quick changes become an unwanted adversary to a community’s way of practicing. Indeed, any action that disturbs the minhag (local tradition) of a synagogue does a great disservice to the community. The congregation should be a “house for all people,” and it is also a house by the people. At The Valley Temple, it is the community, not the rabbi, that shapes and determines the local culture; the congregants decide if a certain practice is acceptable. Change may not come as fast as I would like, but I have come to realize that it’s not about me. It is not the place of the rabbi to reproach the farmer for his “ignorance.” When the farmer is ready for change, he will come to the rabbi to ask for it. 1Sharon Elswit, The Jewish Story Finder: A Guide to 363 Tales, Listing Subjects and Sources (Jefferson, N.C.: McFarland & Co., 2009), 15. Eric Mollo is a TJF Fellow serving The Valley Temple.